THIS ADULT FILM GETS 'A' CERTIFICATE! Hara Hara Mahadevaki starring Gautham Karthik and Nikki Galrani in the lead, produced by Studio Green Production is certified with A by the censor board. The films all set for a release on 29th September. The official poster says it has been censored with a clean 'A' without any cuts. It also states that Hara Hara Mahadevaki would be an adult trend setting film. This certification gives us a clear idea of the content the film would deliver us. "HARA HARA MAHADEVAKI IS NOT A DOUBLE MEANING FILM, IT IS ALL STRAIGHT MEANING ONLY"
"Many people are saying that the film is a double meaning flick. Honestly, there is no double meaning, everything is put out straight without hiding anything.One day I met Gnanavel Raja sir and we were talking about double meaning films. That time he played one song for me, it is the title song of the film. I was laughing over the lyrics for a very long time and as fate wanted it, I was the one singing that on screen. “After many years, I had met him few days ago and I felt he has.."
It’s this leading composer for Dulquer Salmaan’s next Tamil film! Actor Suriya’s next to resume shoot from..
Vijay Makkal Iyakkam's important statement on the latest student controversy! Vishal's next powerful move against piracy for Thupparivaalan! 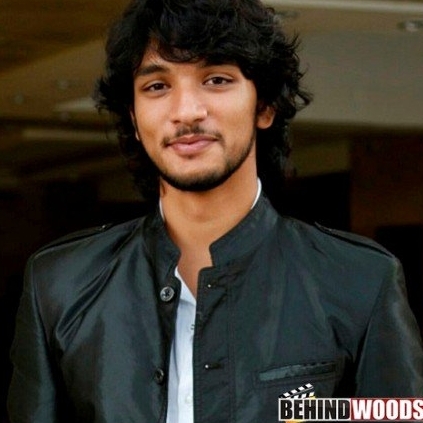 People looking for online information on Gautham Karthik, Hara Hara Mahadevaki will find this news story useful.